Vivint Playback is 24×7 continuous video recording that allows you to catch every moment. Easily jump to activity-triggered clips, or scroll through the moments in between to learn everything that’s happening in your home, anytime, day or night. It’s simple to create and share clips right from the app, as well as download and keep those memorable moments forever on the Vivint Smart Drive. 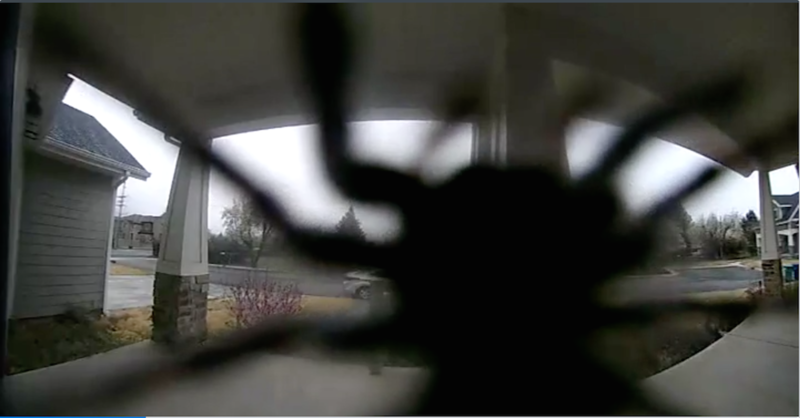 Vivint families have caught everything from which dog is sneaking food off the table, attempted break-ins, to crazy spider incidents, such as my own moment last weekend. My husband and I walked out to my car in the garage Sunday morning, and just as I was about to open the door, I launched myself back into the doorway squealing. A giant hairy spider was sitting on the door of my car, daring me to open the door so it could jump inside with me. As my heart raced and I fought back tears of fright, my husband started laughing hysterically at my reaction. After a swift punch to the arm, he scooped the spider up and released him in the garden, all the while chuckling heartily at my expense. And I thought that was that, until that afternoon at a party with friends, my husband pulled up the Playback camera footage from our garage on the Vivint Smart Home app, and he’s replaying my less-than-graceful leaping stunt. Before I know it, he’s cut a clip right from the app and shared it with all of them. My little freak out was the viral hit of the party that afternoon, and I couldn’t help but join in the laughter. What moments have you captured? Share your favorite Playback moments using the hashtag #vivintmoments. Click here to learn more about Vivint Playback.